April 20 - Shabbat Pesach 1 - UP! Read this inspiring article from the Jewish Press that proves that "truth is stranger than fiction". 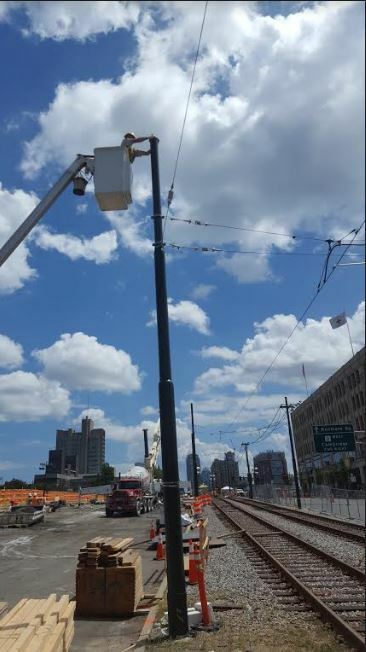 For the second year in a row, the Eruv border in the area of the BU bridge was impacted by the massive reconstruction project at the intersection of the BU Bridge, Commonwealth Avenue, and the Mass Pike overpass bridge. 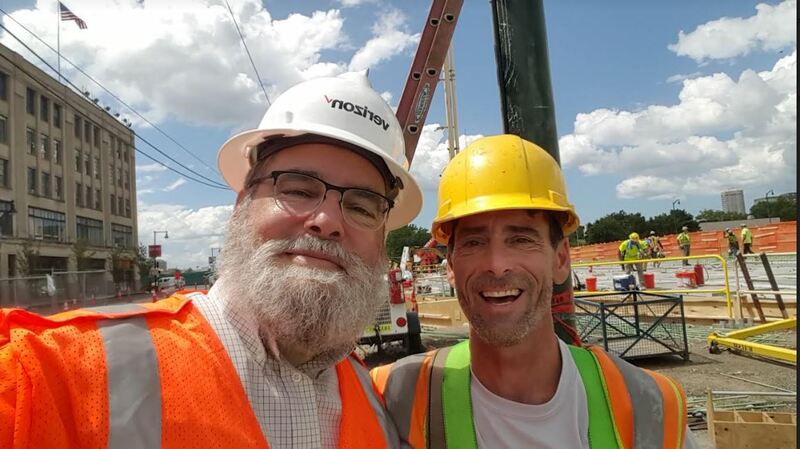 The cooperation between the general contractor, Walsh Construction, and the Eruv Corporation was perfect and we were able to make adjustments to our border each Friday to maintain the Eruv. Below are some sample imaged of the beehive of activity there (night and day) and our own reconstruction work. Chandler Pond, located behind the homes on Kenrick St in Brighton, has been consistently used by residents along the Pond and by Dr. Jennifer Gordon (Kadimah Toras-Moshe) on a regular basis now for many months. Accordingly, the Pond is now considered within the Eruv and the Mechitzos that are present there are no longer required to exclude that area. This mean that walking on either side of Kenrick St, Lake Ave, and Undine Rd are fully allowed. If utilization of the Pond is curtailed at some point in the future, we will notify our constituency. Although we generally use the Eruv Air (Swamp) Boat on the two pond sections at the Larz Anderson Pond in South Brookline for maintaining the Kashrus of the overall Eruv, we have experienced extended cold conditions and the pond has been frozen now for weeks. 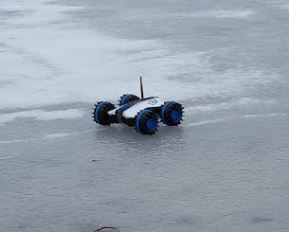 In order to use the surface of the Pond (and skating is not allowed by the Town), we have used two remote-controlled vehicles simultaneously on each side. Below are images of the Eruv "Monster" Truck [New Bright RC , More info...] and the Eruv Amphibious vehicle [Brookstone Rover Land and Sea , More Info...] out on the ice. The former is controlled via a small hand-held controller and the latter via a smartphone or tablet (using WiFi). 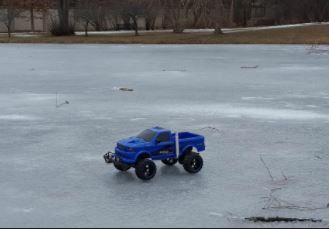 The Rover has come in especially handy when the Eruv boat and Monster trucks have become stuck while out on the pond - the Rover has had no problems in pushing them back to shore! It is a rugged and reliable unit. It also includes an onboard camera and we attach here a picture (far right) of Dr. Hefter operating the Rover from the shore while the vehicle is backing away from the shoreline while out on the ice. Technology in the service of humanity and the Torah! 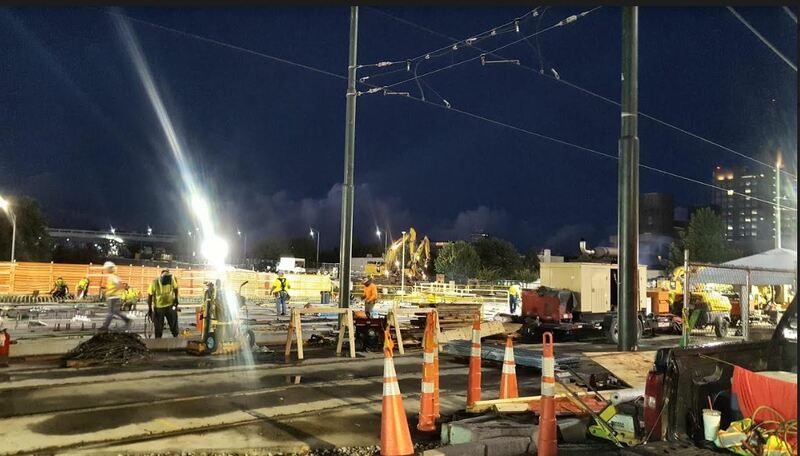 After two years of planning, the Commonwealth Avenue bridge replacement project (Eastbound lanes) started. 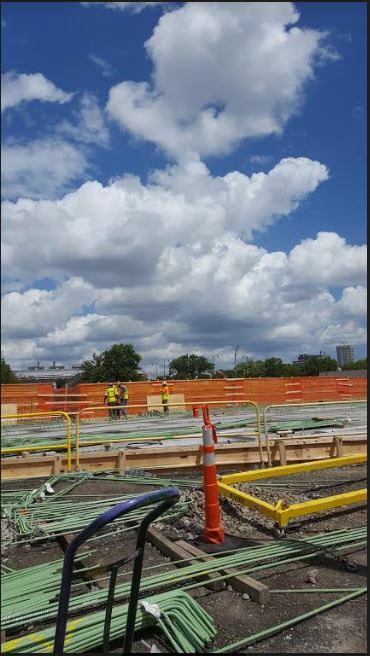 The impact to the Eruv has been mitigated through months of close cooperation of the Eruv Corporation President and representatives from Walsh Construction, one of the prime contractors on the project. 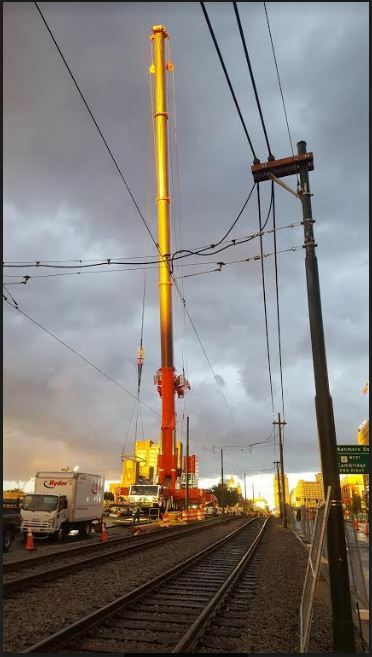 Our northern Eruv boundary has been maintained even as huge cranes and other heavy equipment has been positioned in the worksite, only 100-250 feet away. We are monitoring the border carefully each week to ensure that there will not be any interruption of Eruv availability. We have completed the first phase of the Swampscott Eruv (overseen by the Greater Boston Eruv Corporation) and it is now operational. 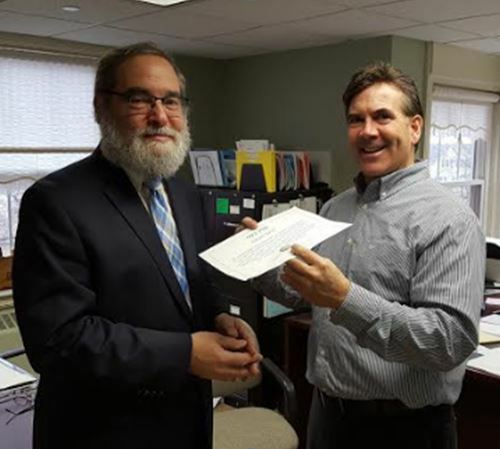 Thanks for the terrific partnership between Daniel Turgel and Rabbi Yossi Lipsker from the Swampscott community in partnering with GBEC to see this project through to a successful completion. Thanks to the Town of Swampscott, National Grid, and Verizon for their licensing permits. The community is now enjoying a new kind of Shabbos experience! The map of the Eruv is located under the Boundaries link. Dr. Jesse Hefter and Gino Cresta (Town of Swampscott Department of Public Works) execute a Kinyan Kesef agreement on January 23, 2017. Repairs: The Eruv is repaired by Dan Strom of Strom Electric. 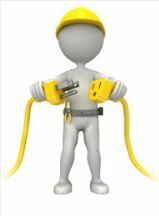 Follow the link to reach a reliable, friendly, and competent electrician! Tree Services: We have been fortunate to work with the good folks at BrightView Tree Care Services when a hard-to-reach twine crossing (usually with tree branches in the way) needs to be rebuilt. 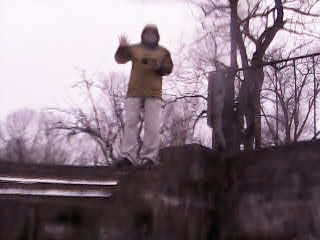 If you ever need tree care services, please consider reaching out to them at www.brightview.com. 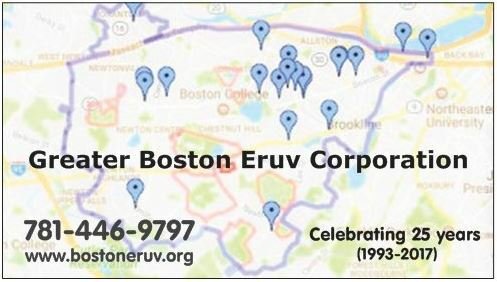 Check Eruv Status history... Eruv News! Eruv Images! Hosted by: 1&1 Internet Inc.